Indeed, some places had lines of over a thousand people waiting to order the vehicle sight unseen. Now the first reservation holders are reporting starting to receive the ‘thank you’ gift. Now Elon said that Tesla will not only be sending gifts to the ~75,000 people who reserved in store pre-unveil, everyone who pre-ordered the vehicle including online will get something, but those who stood in line will get something “extra”. 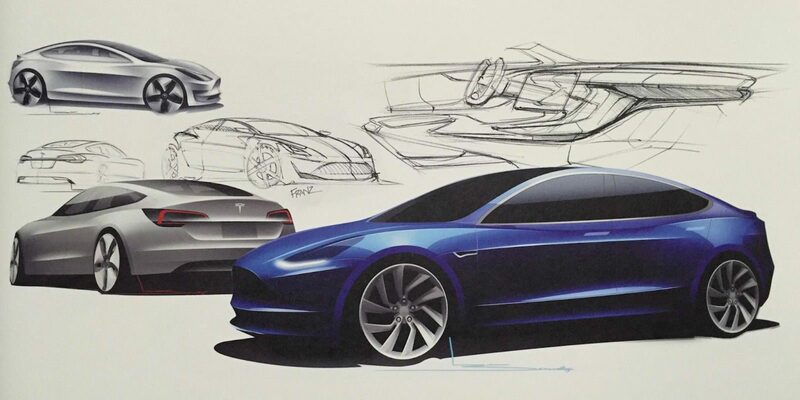 He then tweeted a picture of the Model 3 design sketches (picture above) and implied that customers will be getting the print and “a few other things”. The reservation holder didn’t specify if the pre-order was made in store or online. We checked with a few other reservation holders – some who ordered in store the first day and others online – and no one received the print or any other token for that matter. People in California or closer to Tesla’s headquarters or factory could be receiving the token sooner than the rest of the world. 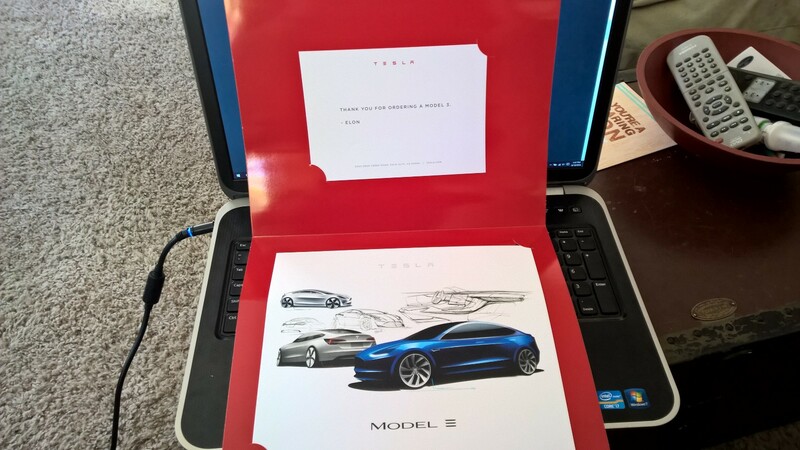 But in the case of the Model 3, the event was livestreamed to hundreds of thousands and it only makes sense for the print to make its way to those people instead of the few in attendance.